Students at Pio Pico Middle School in Arlington Heights now have a million reasons to make beautiful music. 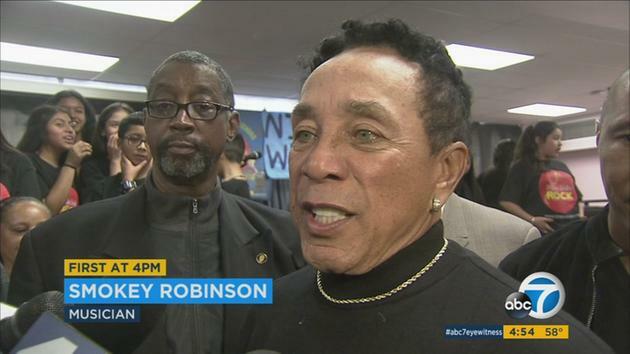 As part of a program called Little Kids Rock, on Wednesday they received brand-new instruments and a $1 million donation from Motown legend Smokey Robinson. To view the donation ceremony and Robinson’s live performance with the students, watch the video above.